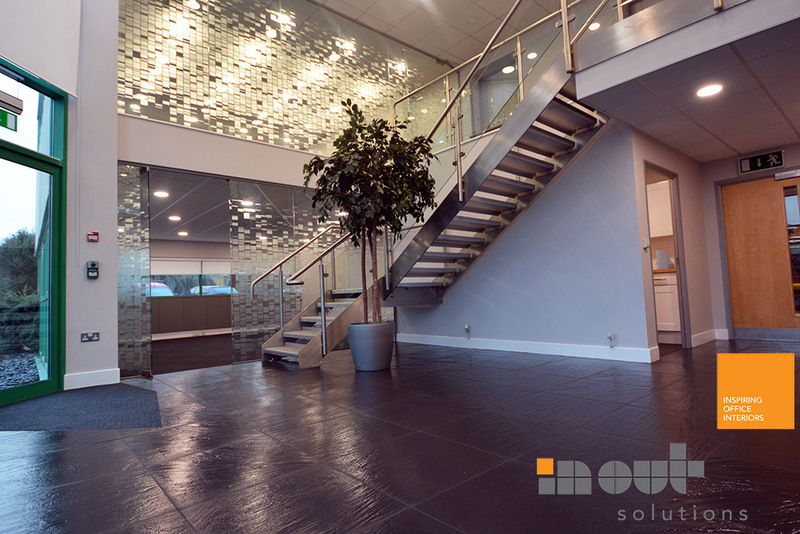 We have a wealth of experience in creating beautiful spacious environments. Here are some that we are really proud of. A professional work environment is essential to motivate employees to perform at their best. Your office is more than a place to fulfil job duties. It should have a positive impact on the minds of employees as well as visitors. 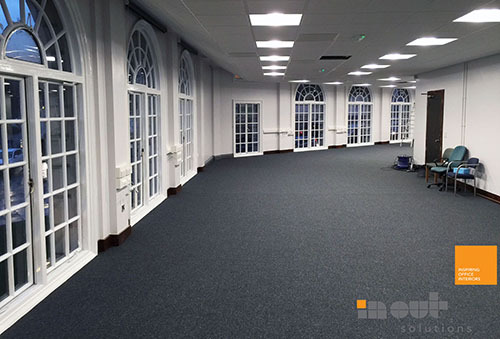 We have a portfolio of clients in the Leeds, Sheffield, Wakefield and Yorkshire areas as well as throughout the UK. 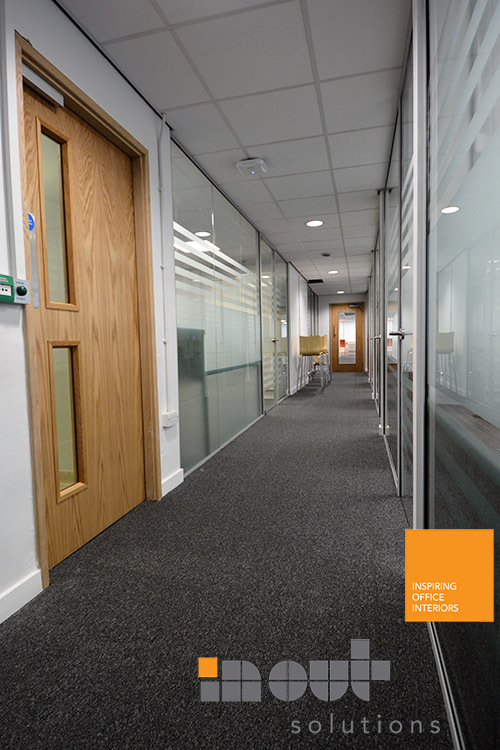 We are happy to quote for any area Nationwide, check out our Glazed Office Partitions in Leeds. An office refurbishment might seem a daunting task, but a properly renovated office can put positive impression on each employee of your workplace. An elegantly designed office encourages individuals to take an interest in their job duties and be more productive. The more your workforce is satisfied, confident and happy, the more your organisation is likely to reap profits. We have a wealth of experience in bringing design solutions to you. 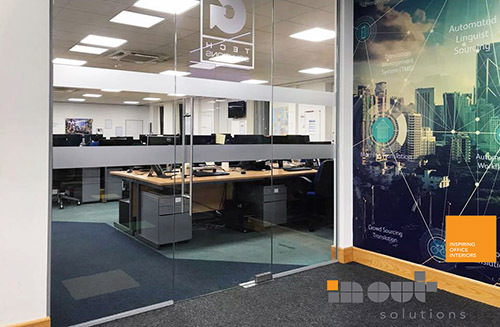 We specialise in creating effective and comfortable office environment which, in turn, enhances the working capabilities of your personnel. At In Out Solutions, we never comprise on quality. Our services meet high standards and are always up to the mark. 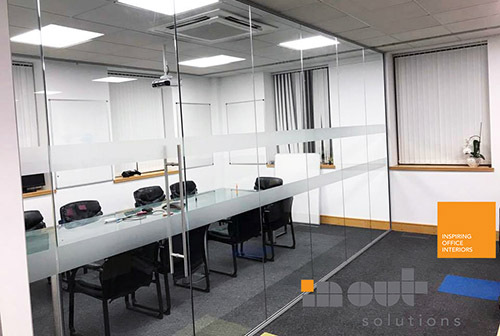 Office Glass partitions not only provide your office with a professional appearance but also put lasting impressions on the employees as well as potential clients. 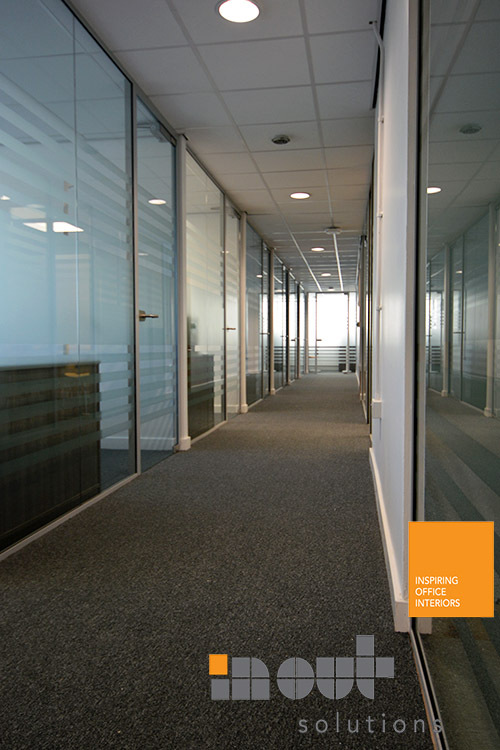 We are expert in installing glass partitions in any office. 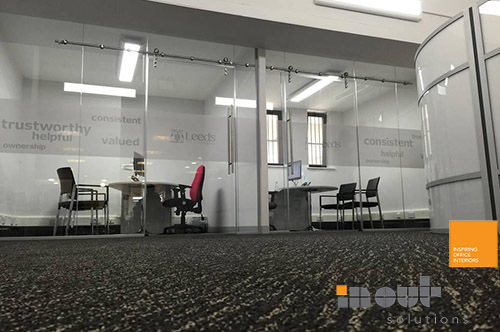 We are renowned for our reliable and durable glass partitions in Leeds. 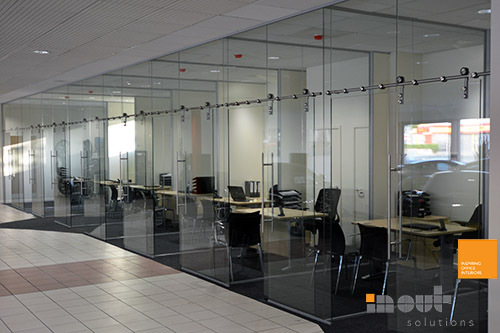 Nowadays, most business owners are opting for glass partitions as they look elegant and appealing when installed. 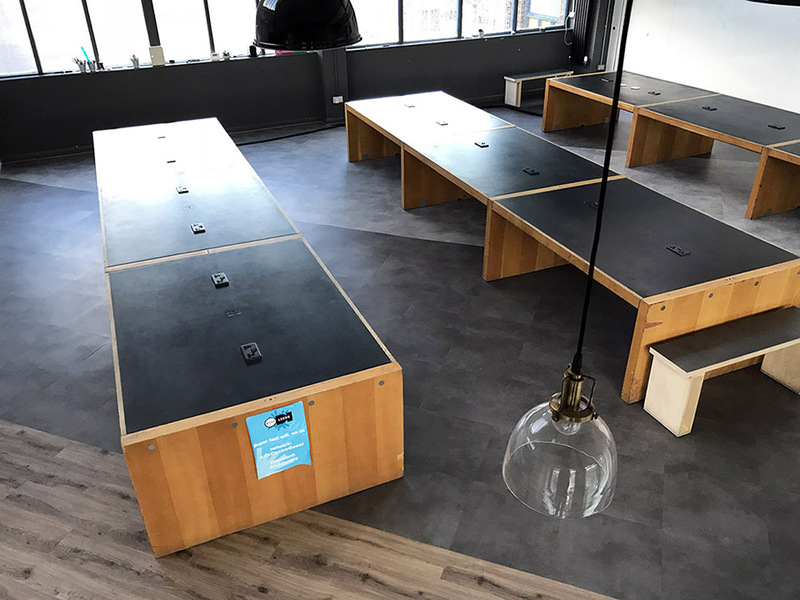 The whole atmosphere of the workplace is changed in a good way. 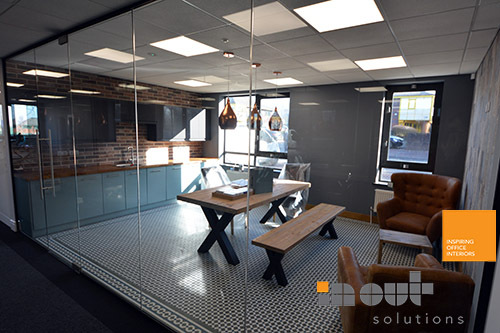 Moreover, dividing a room using glass partitions is a cost-effective process. It is also less disruptive. 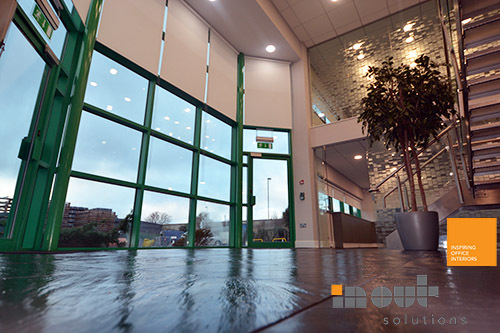 We offer bespoke glass partitions that are according to your specifications. 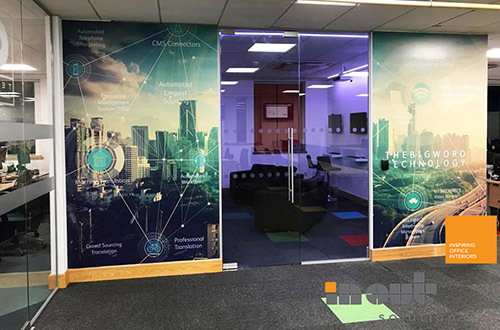 Let it be thickness, transparency or acoustic performance, we assure you will get the best possible office partitions that meet your requirements. We have a strong command over revamping, and that is the reason our clients always choose us over others. 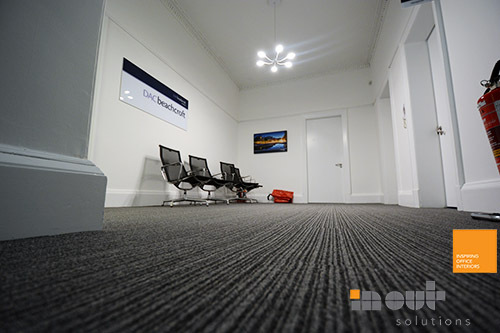 We are office renovation specialists and experienced in transforming any office space. 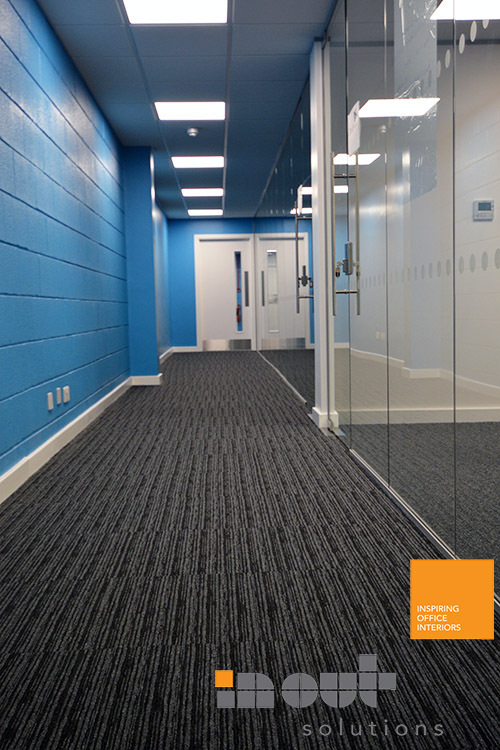 Whether you want to install new furniture, office partitions or change roofs, paint and more, we have all the solutions to accommodate your office requirements. We pay proper attention to every major to minor details and make sure nothing is missed out. Finishing is important for us. 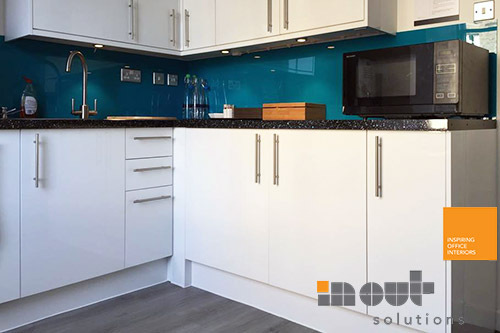 Once we are done with the refurbishment, we ensure each renovated detail is properly finished. Our services are cost-effective. 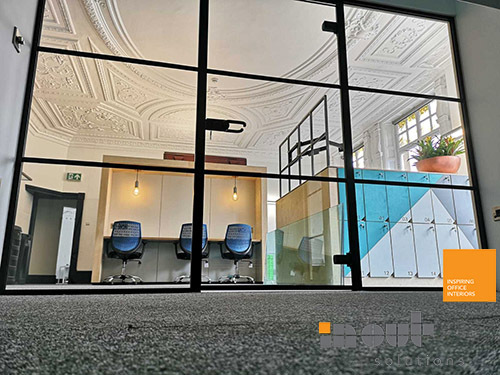 Our aim is to deliver the best within affordable range, we have worked with a range of clients in Leeds, Sheffield, Rotherham and Yorkshire to revitalise their office.